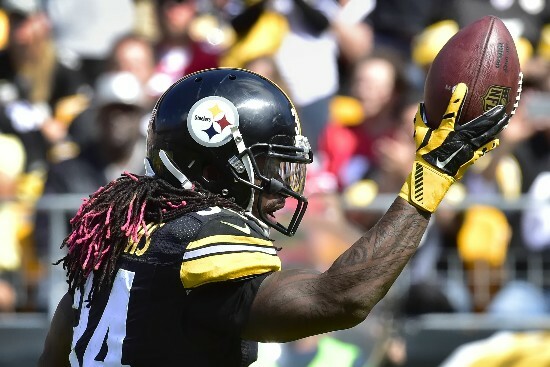 Best FA Pick Up DeAngelo Williams Holds The Key To Steelers Success | "IT'S A STEELERS WORLD"! Look at it like this, the Pittsburgh Steelers had an excellent chance of a Super Bowl appearance last season had it not been the untimely injury to premier running back, Le’Veon Bell. Who’s previous backup before hand was the New England Patriots plant, LeGarrette Blount..only to be released and replaced by a known Steelers hater, Ben Tate due to actions detrimental to the team. Difference this time around? Neither one of those incompetent backs can carry the jockstrap of one DeAngelo Williams. Over the first two starts in place of the suspended Bell, DeAngelo showed his former team, the Carolina Panthers and the rest of the league that he truly belongs in the NFL. Racking up 127 yards against the Patriots defense in week 1..leading to a 20 carry, 77 yard, 3 touchdown outing against the San Francisco 49ers in week 2. We all know the return of Le’Veon to the field dampened Williams’ rushing onslaught after that. The next five games totalling 35 yards on 13 carries may look like something most teams would consider unacceptable and most backups would consider a waste of their God given talents, but not DeAngelo Williams. This balls out player continued to accept each and every carry he received like it was his last game, something the Steelers would have never seen in a Blount or a Tate..and that’s what makes DeDub so special. His willingness to play as hard as he did as a starter trickles down into his backup role as well, proving so in week 8 while stepping in again for Bell..this time due to the same related injury as the year before..by the same exact team. Go figure..huh? In Bell’s absence Williams accumulated 71 yards on 9 carries versus the Cincinnati Bengals averaging 7.9 yards a carry. I tell you..this guys motor and will to play hard just does not stop. Then comes last week’s 38-35 victory over the Oakland Raiders, where DeAngelo put up 170 yards and 2 touchdowns on 27 carries against a team that had been playing pretty stout on the run defense side of the ball. Adding to that total was another 55 receiving yards bringing his 170 to an impressive 225 yards from scrimmage. Once again..he plays hard always..non-stop.